No, we are not endorsing gaming and fun activities to be a part of your daily routine. 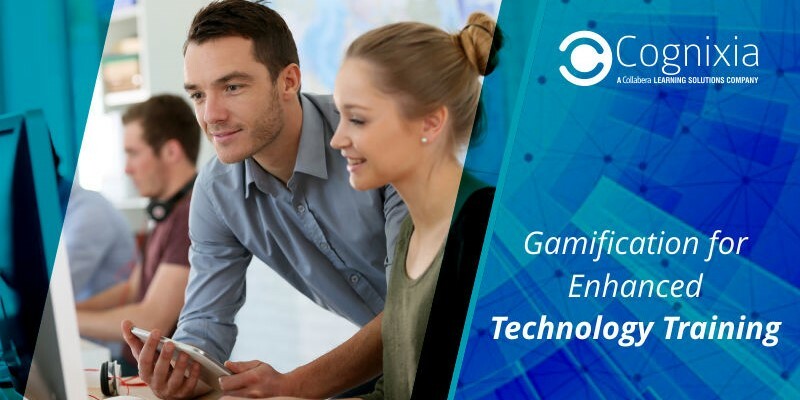 We are, instead, highlighting the importance of blending your learning and development strategies with gamification; to make it more engaging and thus, effective. Science and technology have been surmounting landscapes that once seemed unreachable. This has been made possible by the most intricate hardware ever known to mankind—the human brain. Games and gamification work in accord with the human brain; and with respect to learning and development, can bring a dry subject to life with interactive, real-world scenarios captured in it. Learning today is not only about the text-heavy approach that puts most of the ordinary mortals to sleep, but to create a multi-sensory learning experience. This is what research in cognitive science and learning fervently endorses. When the text-heavy learning overwhelms the brain, one can come under stress that distracts from further learning. A learning approach blended appropriately with learning games can avoid this situation significantly. According to Brian Knutson, associate professor of psychology and neuroscience at Stanford University, Identifying a direct connection between the stimulation of neural circuits and game play is a key step in unlocking the potential for game-based tools to inspire positive behavior and improve health. Our brain has an area that is responsible for knowledge recall. This is called the hippocampus area. Games can activate this area leading to better memory and easier recall of what has been learnt. According to researcher Dr. Michiko Sakaki, learners always pay more attention to particularly vivid information or details that are highly relevant to them. Emotions and priority play a significant role in honing our cognitive and retention capabilities. By developing a narrative around the learning task, an emotional connection is set up with the activity and this enhances the attention spans by leaps and bounds. Learning something with a positive emotion prompts an individual to learn further. This positive emotion comes from an achievement in the learning games that are a part of the learning and development platform. The feel-good factor hormone dopamine is released whenever we are affiliated for an achievement. Not all the stories have a game in it, but every game has a story in it. A compelling game must have a compelling story. And according to psychology, people are more likely to remember stories compared to remembering unconnected facts. A hormone called oxytocin is released in our brain that generates feelings of trust and empathy whenever a good narrative is presented. Thus, any information presented as a story via gamification becomes more valid and is retained for a longer period of time. A study conducted by BBC’s Horizon on 15 individuals found out that a racing game played for 15 hours over 5 weeks had improved their memory and attention span by 30%. Playing games enhances the brain functioning. And what can be more rewarding if the game is a part of your course curriculum. Gamification significantly engages a learner, who would bring more learners to board the learning wagon. This will improve the training RoI that can further be invested in enhancing the technology training deliverables with emerging technologies such as, AI, Machine Learning, IoT, etc., thus, creating a rewarding experience both for the trainees and the trainers. In corporate trainings, an engaged learner will contribute in transforming the organizational culture. Cognixia is an e-learning and digital transformation incubator with a wide-range of courses for students, individuals, and corporate workforce. We strive to offer the best training deliverables with the perfect blend of strategies and best practices. With industry experts as instructors and state-of-the-art infrastructure, we try our best to inculcate new approaches making the learning process successful.